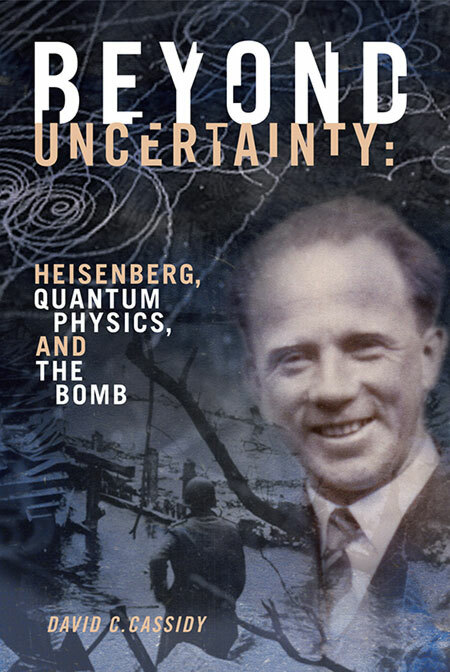 In 1992, David C. Cassidy’s groundbreaking biography of Werner Heisenberg, Uncertainty, was published to resounding acclaim from scholars and critics. Michael Frayn, in the Playbill of the Broadway production of Copenhagen, referred to it as one of his main sources and “the standard work in English.” Richard Rhodes (The Making of the Atom Bomb) called it “the definitive biography of a great and tragic physicist,” and the Los Angeles Times praised it as “an important book. Cassidy has sifted the record and brilliantly detailed Heisenberg’s actions.” No book that has appeared since has rivaled Uncertainty, now out of print, for its depth and rich detail of the life, times, and science of this brilliant and controversial figure of twentieth-century physics. The allied armies, sweeping across Germany and the rest of Europe in the first half of 1945, brought the long-awaited collapse of the Nazi dictatorship. Their arrival also brought an end to German nuclear research, and captivity to the German nuclear scientists. V-E (Victory in Europe) Day in May was followed three months later by the capitulation of Japan under the shadows of the mushroom clouds over Hiroshima and Nagasaki. The perceptions and rationales that Heisenberg and many other Germans accepted before and during the war enabled them to continue their work and daily lives under Hitler’s regime. But as the circumstances changed with the collapse of the Reich, the rationales collapsed with it. While many Germans reacted with shock and bewilderment in the wake of defeat, they also began to construct a new rationale tailored to their new world and the questions that arose about their past. 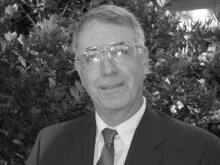 The postwar era brought with it the realization of two terrible truths. The first came with the disclosure to the world of the utter depravity of the Nazi regime, exemplified by the unspeakable horrors of the Nazi death camps. The second truth to be faced was the awesome destructive fury of nuclear weapons, a fury unleashed through the genius of scientific and technological research. Both of these truths had ramifications that went far beyond the immediate experience of the war, changing forever our perceptions of human progress and human potential. They taught us to be skeptical of so-called modern, enlightened societies, however cultured, and, for many, to be wary of modern science, however promising. While each person, and especially each nuclear scientist on both sides of the war, struggled to come to terms in his or her own way with one or both of these terrible lessons, Heisenberg, having much to explain, took a leading role in publicly articulating the reactions of leading German scientists. As newspapers around the world blazoned reports of Nazi atrocities uncovered by Allied troops during the spring of 1945, the public remained unaware of nuclear weapons until the destruction unleashed on Japan in August. The German nuclear scientists, who thought their research at least equal to, and probably far ahead of, Allied research, supposed that the Alsos mission had captured them in early May in order to tap Germany’s superior knowledge. The day after Heisenberg arrived at the Alsos outpost in Heidelberg, he was ushered to an interrogation on his work by his erstwhile colleague, Samuel A. Goudsmit, the scientific head of the Alsos mission. Heisenberg and Goudsmit had last seen each other in Ann Arbor shortly before the war. Much had happened since. Now, as Goudsmit faced the man he had looked up to as a young physicist but who had apparently made little or no effort to rescue his parents from transport to Auschwitz, the German physicist seemed to him despicably haughty and self-involved. Heisenberg, for his part, seemed to welcome the attention the Allies accorded him for his wealth of nuclear knowledge. The extraordinary efforts that Pash had made to arrest him reinforced such pretensions. When asked about his nuclear research, Heisenberg was so confident of its significance that he offered to instruct the Americans on uranium fission. Goudsmit, knowing of Allied progress, though not about an imminent bomb, politely thanked him for the offer. On impulse, Goudsmit repeated his question of six years earlier: “Wouldn’t you want to come to America now and work with us?” Heisenberg repeated the answer he had given earlier: “No, I don’t want to leave. Germany needs me.” To Goudsmit, this seemed further evidence of Heisenberg’s overweening self-importance. But with most of Germany in ruins and its economy near collapse, Goudsmit could hardly have expected any other response at that point from a man so attached to his country that he had remained at his post throughout the past 12 years.